Beşiktaş İstanbul aka BJK is one of the largest Football teams in Turkey. 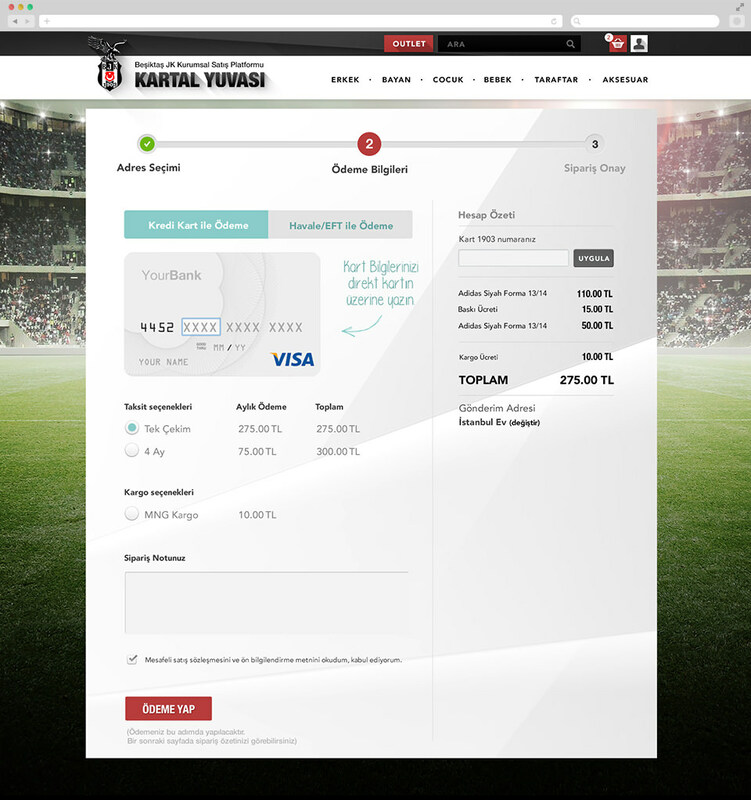 Kartal Yuvası which means "Nest of the eagle" is the official Fanshop. Personally i'm not a BJK Fan but i may feel the same passion as hobby soccer for this project. Club colours black and white were a must. I used expressive images and a Flat Design Interface for this e-commerce platform. The clou was an interactive shop, where buyer can customise his own special jersey.